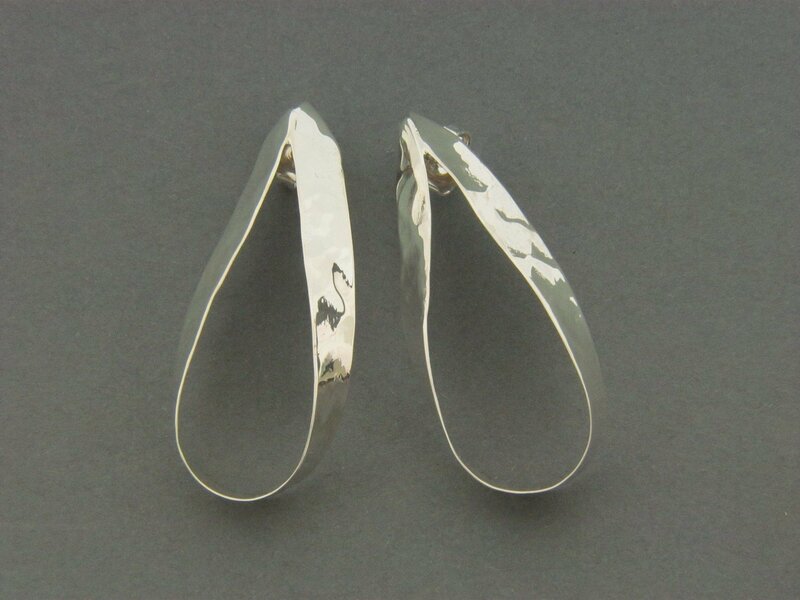 Handcrafted sterling silver .925 plate strip approx 1/4 wide looped. Available in a french hook soldered to back and hidden or post and ear nut. Approximate length is 1 1/4".